We recently got a round-robin email from someone who had been watching an independent film in which it was being argued that "the legitimacy of the IRS (the U.S. Internal Revenue Service, or tax authorities) to demand income tax is unproven under the U.S. Constitution, and interviewed people who said they "have not submitted tax returns for several years." 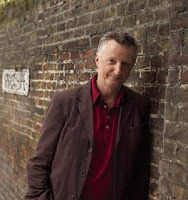 This follows news that the singer Billy Bragg (pictured) has decided not to pay tax, in protest at treatment of bankers and so on - though this is not to lump Bragg in closely with these other anti-tax protesters - he's clearly angered by a great injustice here and his protest has a logical coherence that the U.S. tax protesters don't have. It's important to address theories and approaches like theirs, since a fair few number of people do seem to believe them. "The gentleman has run into a rather widespread tax protest movement in the US which has no basis whatsoever in law. Many of those who follow the advice of the tax protesters have ended up in jail, and others have paid large penalties, and many of the protest promoters themselves have ended up in jail. In brief, the claim that the US government does not have the power to tax income under the US constitution is a cruel and stupid hoax." "If actually-existing property rights are constructed by the legal rules of property, including the rules of taxation, then one is making an error of reasoning in appealing to property rights in order to justify specific kinds of changes in, say, taxation rules. Finally, an excellent source on this is Citizens for Tax Justice in Washington, who published a document last April looking (briefly) at this, entitled "Answers to Your Tax Day Questions." Note also the IRS link in the notes underneath, which provide a much fuller set of answers. The relevant section from CTJ is cut and pasted below. 1. Question: I heard that federal income taxes aren’t really legal. Is that true? Answer: You heard that from a radical anti-tax activist who wants the courts to accept outrageous legal theories. Or worse, you heard that from someone who is trying to sell you a bogus tax scheme. 2. Question: Is it true that the Internal Revenue Service is not an agency of the United States, and may even be illegal? Answer: Tax protestors argue that the IRS is illegal because it was created by an act of the Treasury Department rather than by Congress. However, Congress had expressly delegated to Treasury full authority to administer and enforce the internal revenue laws and to create an agency to enforce them. 3. Question: Isn’t filing an income tax return “voluntary” and doesn’t that mean I don’t have a legal obligation to file a return? 4. Question: Are salary and wages “income”? I heard that compensation isn’t legally taxable. 5. Question: Do the tax protestors actually believe all the nonsense they’re promoting? Answer: While some might be true believers, many so-called tax protestors do not believe any of it but are rather trying to sell you a bogus product. 8 In United States v. Collins, 920 F.2d 619, 629 (10th Cir. 1990), cert. denied, 500 U.S. 920 (1991), the court cited to Brushaber v. Union Pac. R.R., 240 U.S. 1, 12-19 (1916), and noted that the U.S. Supreme Court has recognized that the “sixteenth amendment authorizes a direct nonapportioned tax upon United States citizens throughout the nation.” See also Internal Revenue Service Revenue Ruling 2005-19, 2005-1 C.B. 819. 9 Internal Revenue Code Section 6011. 26 U.S.C. 6011. See also Internal Revenue Service Revenue Ruling 2007-20, 2007-14 I.R.B. 863. 10 Internal Revenue Code Section 61. 26 U.S.C. 61. 11 Internal Revenue Service Revenue Ruling 2007-19, 2007-14 I.R.B. 843. 13 Offered for $39.95 at www.givemeliberty.org until stopped by a federal injunction.